Want to Make Villebois Your Home? Many of you know that we are proud Villebois residents, and we spend a lot of time selling our friends and clients on the benefits of the area—from the pools to the outdoor spaces. I mean, outdoor pickleball court…need we say more? But another thing that makes Villebois so special is the many community activities that you’ll find. Here are some of our favorites that are coming up that you won’t want to miss. 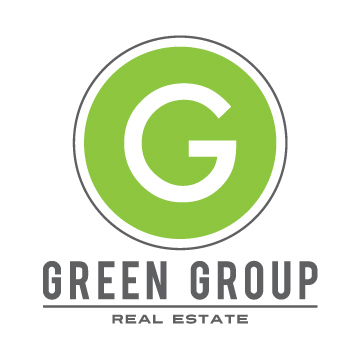 Saturday, April 20, 2019; 12:45 to 1:45 p.m.
As you may already know about us at Green Group Real Estate we love #CreatingCommunity and giving back!! In an attempt to partner with our community friends and to give back at the same time we are collecting the items listed below to assist in helping those less fortunate stay warm during the cold winter months. 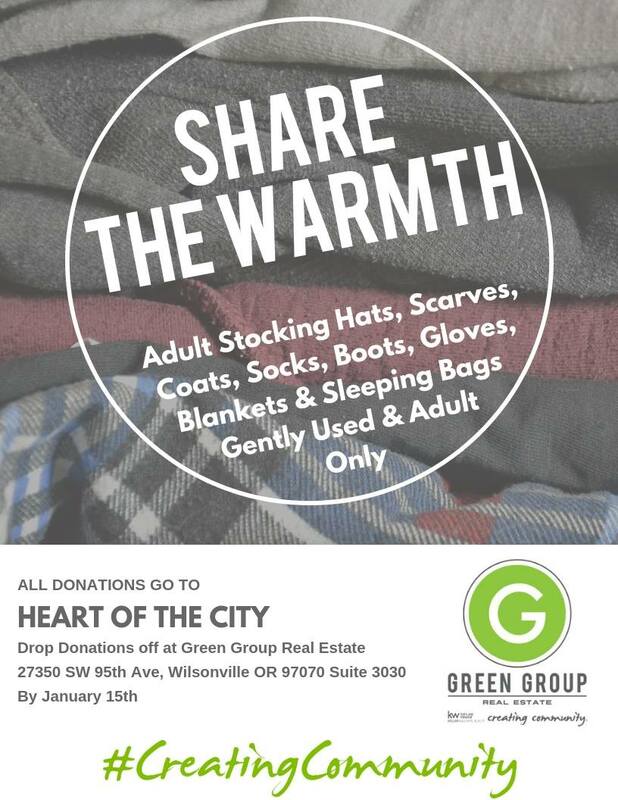 We will be collecting these items through January 15th here at our office (27350 SW 95th Ave, #3030, Wilsonville, OR) and sending all the donations to our local outreach partner, Heart Of The City. Help us bless those in need this winter season. Plus, it's a good reason for you to come in and share your smiling face with us here at Green Group. We would love to see you! New or gently used please and adult sizes only. With over 15 years of property management experience along with helping launch the real estate sales division of her previous company, Meagan brings a unique perspective to our team. She fell in love with selling real estate during her first transaction and has worked to make it her full-time career. Meagan enjoys pairing people with their perfect home, specifically making the dreams come true of first-time home buyers. Apart from her real estate life, Meagan has a passion for singing and traveling with her family. She recently married her childhood sweetheart and they have 4 beautiful children between them. Subscribe to the channel to get new videos every week! Darren’s passion for real estate started when he attended his first real estate class over 30 years ago. Darren and his wife, Teresa, have purchased, sold, rented and invested in real estate for over 20 years. His communication and negotiating skills were honed as a tenured employee in high-end retail before making the switch to a full-time real estate career. With a wealth of sales and marketing experience, Darren uses his passion for leadership and service to help his clients navigate the often complex real estate process, with ease! If you are looking for Portland homes for sale check out more of our channel! We are SO EXCITED to share with you the moment we gave the $12,500 cheque to Wilsonville Community Sharing! 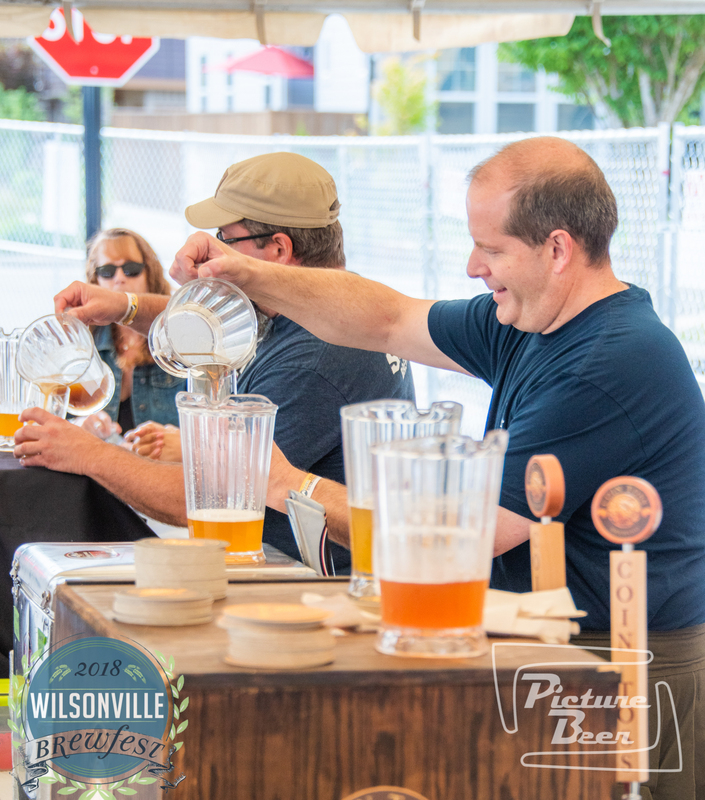 Wilsonville Brewfest is a nonprofit event that donates proceeds to local charities, with Wilsonville Community Sharing being the main recipient of funds. Year 1 we donated $6000, Year 2 we donated $9000, Year 3 we donated $12,500. With your help, we can donate even more this year! Thank you to all our sponsors! The Beer Station, Wilsonville Subaru, Twinstar Credit Union, Academy Mortgage Corporation, Freedom Home Warranty, Allstate, Allstate Insurance, Edge Family Fitness, Therapeutic Associates Physical Therapy, and Bittner & Hahs, P.C. All information provided is deemed reliable but is not guaranteed and should be independently verified. This content last updated 4/18/2019 1:17 PM CST. Some properties which appear for sale on this web site may subsequently have sold or may no longer be available.